CHICAGO – To celebrate School Library Month (SLM), the American Association of School Librarians (AASL) and Scholastic are excited to announce the “Pilkey Party @ Your School Library” sweepstakes. 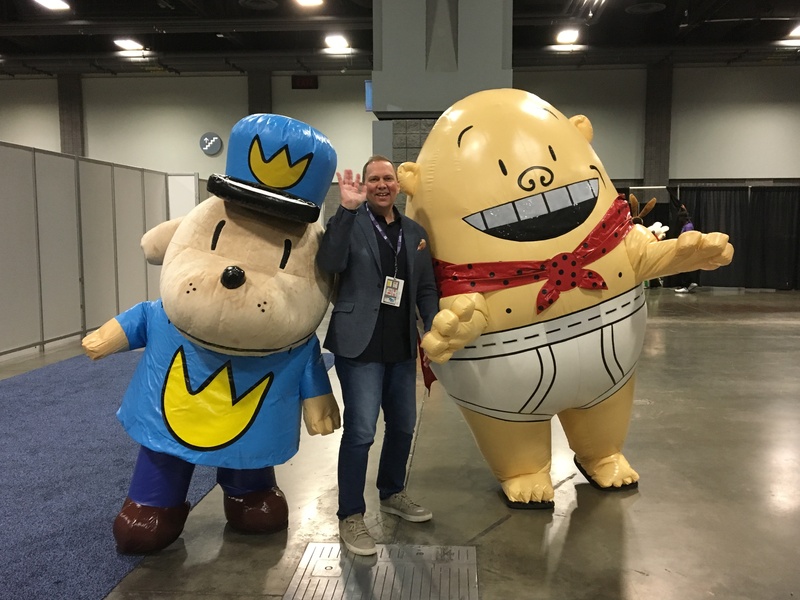 AASL members are invited to enter a random drawing to win a Dav Pilkey themed party to take place in Fall 2019. To enter, visit www.ala.org/aasl/pilkey. Every year in April, School Library Month celebrates school libraries as open, equitable, and personalized learning environments necessary for every student’s well-rounded education. The 2019 School Library Month spokesperson is Dav Pilkey, the worldwide bestselling creator of Dog Man and Captain Underparts. Scholastic is providing schools with the opportunity to win a themed “Pilkey Party” event to help commemorate back to school in the fall. 1 Grand Prize: A school visit with Dav Pilkey hosted by Scholastic Book Fairs. During the event, every student will receive a free signed copy of “Dog Man: For Whom the Ball Rolls,” the newest release in the Dog Man series. At the event, each student will also have the opportunity to select one free book of his/her choice. All students will receive additional Dav Pilkey book-themed promotional giveaways. 5 Runner-Up Prizes: A reading celebration event featuring the Captain Underpants and Dog Man inflatable costume characters. Additionally, the school library will receive a signed set of the Captain Underpants and Dog Man series All students will be provided with assorted Dav Pilkey book themed promotional giveaways. To be eligible, schools must have a certified school librarian and the librarian must hold a current, personal membership in AASL. Only one entry allowed per school. Duplicate entries will be withdrawn. Entries must be submitted by 11:59 p.m. Central on April 22, 2019. Winners will be announced April 30.